We were paddling down the Frankstown Branch of the Juniata River. As I floated under the bridge, a black snake was crossing the river and caught my eye. I paddled over towards the shallow water underneath the bridge. For a matter of five minutes I positioned myself in order to somehow get ahold of the snake without getting bit. At the time, I had known that the snake was not venomous, from past experience and knowledge. Venomous snakes belong to the pit viper family and possess a heat-sensing pit on each side of the head between the eye and nostril. Along with this indicator, the eyes are also a distinct way to differentiate between the two. The eyes of Pennsylvania’s venomous snakes have vertical, elliptical pupils resembling those of a cat. Nonvenomous snakes have round pupils like a human eye. The triangular shaped head is another obvious way to pick out a venomous snake, rather than an oval shaped head. This picture shows me, underneath the bridge at Flowing Spring, just below Canoe Creek State Park. My Mom was sitting in her kayak, trying to prevent my kayak from floating down stream, while she took the picture with her phone. Common rat snakes are excellent climbers and spend a lot of time in trees. Black rat snakes live at elevations from sea level to high altitudes. Black rat snakes live in habitats ranging from a rocky hillside to flat farmland. At the time I found this snake in between habitats, crossing the river. 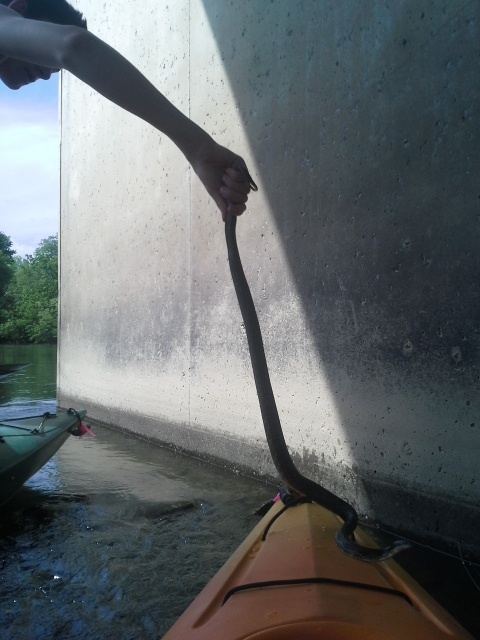 This also made it possible for me to catch the snake, considering it didn’t have much experience in the water. If it were a Northern Water snake, in would have been underwater, easily avoiding predators such as humans. The black snake I caught, held its head above water as it made its way across the water cautiously. This shows how it was entirely inexperienced in this situation. Snakes such as this one would be easily meals for nearby avian predators such as hawks or owls. 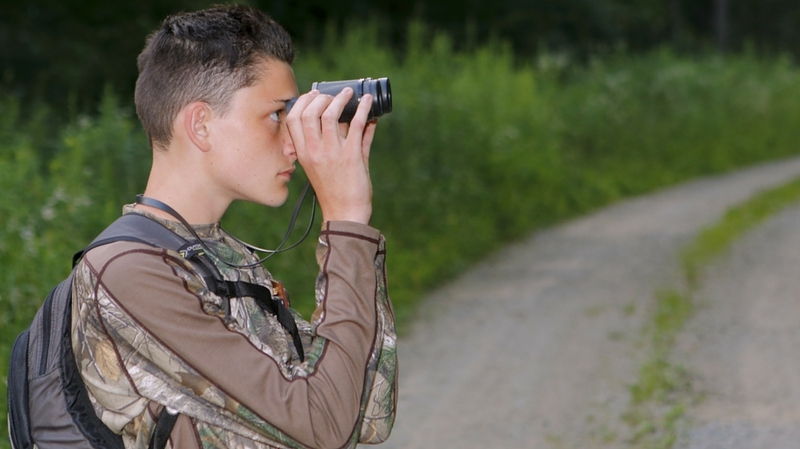 This experience prompted me to look into the natural habitats of the eastern black snake. I learned that these snakes tend to stay in one place, for long periods of time. Some exceptions include my experience. I also learned that when these snakes decide to move from one place to another, their lack of experience tends to leave them clueless and therefore vulnerable.